One of the things that have made the Big Bang Theory an exceptional TV show is the fact that it has presented viewers with characters that you do not only get to love, but also relate to. 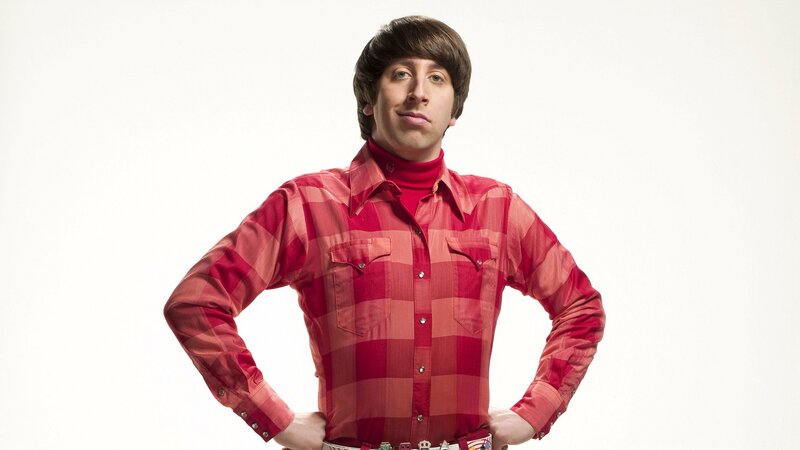 One of such great characters is Simon Helberg whom many know better as Howard Wolowitz. Simon Helberg is a very versatile man who is an American actor, a musician, as well as a comedian. He is also a lot of other things and his real life is as interesting as what you get to see on TV. Here is everything you will want to know about the man. Born Simon Maxwell Helberg on born December 9, 1980, in California, the actor came from a family that was already somehow into showbiz as his father, Sandy Helberg was also an actor who was a child of Holocaust survivors. Simon was raised by his father and mother alongside his sibling, Mason Helberg, in the United States. He attended the Crossroads School for both his early and high school education. Next, he went to the New York University and there, he attended the Tisch School of the Arts as he prepared to be an actor. One more interesting thing about him is that he has a black belt in Karate. This should normally make one believe that he would be better acting action movies, but he is doing great where he is. Mumford. His next work in 2002 was Van Wilder. He has gone on to appear in many other movies with the recent ones as We’ll Never Have Paris (2014), Hollywood Adventures (2015), and Florence Foster Jenkins (2016) for which he was nominated for the Golden Globe Awards. Where he got to make a name for himself, however, is with TV Shows. He has been a part of shows including Studio 60 on the Sunset Strip and most popularly, The Big Bang Theory which he has been a part of since 2007. For all his works as an actor, the man has a number of awards and nominations to show including the Critics’ Choice Television Award for Best Supporting Actor in a Comedy Series (2013) and a nomination for Teen Choice Award Choice TV: Male Scene Stealer (2010). 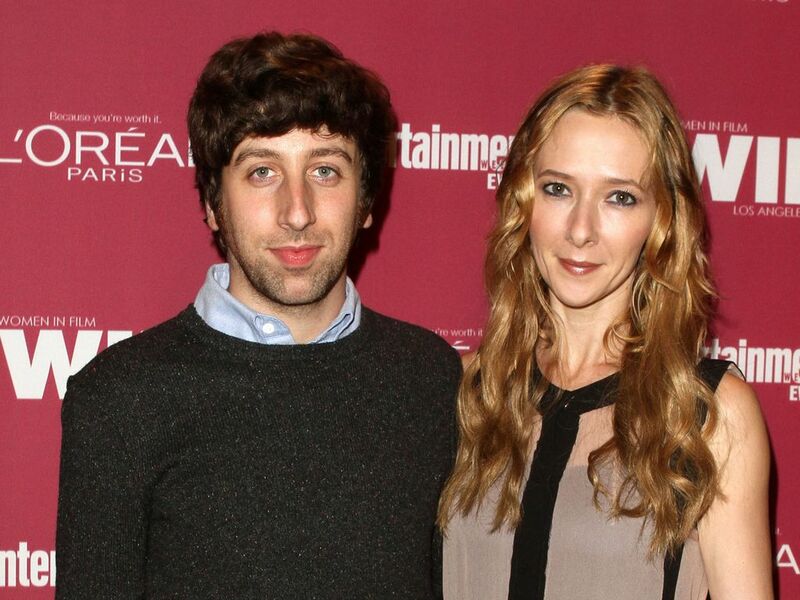 Many people may end up losing their money if they decide to vote on whether or not Simon Helberg is married. This is because the most likely answer would be No. Surprisingly enough, he has been married since 2007 and has since been together with his wife. The name of Helberg’s wife is Jocelyn Towne, an American actress, producer, and director. The two dated for five years before finally deciding to crown it all up as man and wife and begin a family on 15th Jul 2007. Even as they have built a relationship that many others would only dream of, the two are said to have had their rough times as while they were dating, they broke up before finally coming back together. It was the actor who broke up with Jocelyn Towne, but he was soon to find out what he was going to miss, and that forced him to run after her and the propose to her afterwards. The couple had their first child, a daughter on April 23, 2014, and named her Adeline. The next child that the couple gave birth to is a son, Wilder Towne Helberg who was born on April 23, 2017. As an individual who has got himself involved in different things and has ensured to be dedicated in almost all, it is very hard for one not to expect that Simon Helberg should have a very wide net worth. Considering his role on the sitcom Big Bang Theory, the Californian actor is being paid as much as $800 thousand per episode. This may not be as much as the $1 million that Johnny Galecki (Leonard Hofstadter), Kaley Cuoco (Penny Hofstadter), and Jim Parsons (Sheldon Cooper) are paid, but it is still something very significant. In fact, it is worth more than what many other actors get paid per episode in Television. Thanks to this and his other endeavors that include his work as a musician and a comedian, Helberg has a net worth that has been approximated to be about $45 million. Helberg and Jocelyn Towne recently bought a house worth around $5.15 million. The house is a massive 1916 Spanish colonial revival residence that comes with 4 bedrooms and everything to make one’s life majestic.